Click for video about student goals. An ancient Chinese proverb notes that no wind is favorable if one does not know to which port one is sailing. Goals provide a standard against which students can gauge their progress, and setting goals can have a substantial impact on student self-efficacy and achievement. Setting and measuring goals is probably the most effective classroom modification teachers can make to increase student confidence. When students achieve short-term goals, they gain an initial sense of self-efficacy for performing well, which is later substantiated as they observe progress toward longer-term goals. Goals are effective in two ways. First, they give directions for a student’s effort. Second, they provide a way to measure, and thus draw attention to, previous achievement. As mentioned earlier, past performance is the strongest indicator of self-efficacy, and helping students set, measure, and record achieved goals draws their attention to their past performance. Robert Wood and Edwin Locke (1987) found a significant relationship between goals and self-efficacy: Students with a stronger sense of efficacy also set higher, but reachable, goals. Wood and Locke also pointed out that more challenging goals usually prompt higher achievement. Challenge, of course, is in the eye of the beholder. Goals the teacher considers challenging may be seen as too stiff by some students, and laughably easy by others. The challenge for the teacher, then, is to assist students in setting reasonable goals for themselves. and interest in the task. In every class, there may be some students who already are skillful at goal-setting. On their own, gifted students– especially gifted girls– make frequent use of goal-setting and planning strategies. But all students will profit from careful thought about their achievement goals. Dale Schunk’s (1985) study of sixth grade learning disabled mathematics students showed that the best learning occurred not just when the students focused on short-term goals, but when they also had a say in goal-setting. Students showed more growth in self-efficacy and math skills when they participated in goal-setting. Specific goals are far more effective motivators than general ones, such as “Do your best.” When a student goal contains a clear performance standard, it cuts out a lot of guesswork about where to aim. Learning and self-efficacy are enhanced by specific goals, because it is easier for both teacher and student to gauge progress. 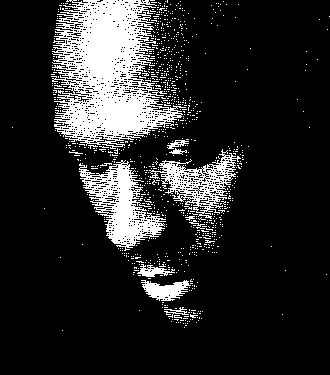 Print the Michael Jordan goal-setting basketball story and share it with your student. Work with your student to set three goals each week. A form (My Accomplishment Plan) is provided for the student to use. These goals should be sufficiently specific that it is easy for the student to recognize progress toward them. The goals should also be attainable…within the student’s reach with reasonable effort. Help the student set improvement rather than benchmark goals. For example, the student may decide to increase the number of homework assignments completed, as opposed to completing twelve homework assignments. The first promotes achievement while improving performance. At the end of each week, review the student’s Accomplishment Plan for the week and assist the student in developing new goals for the next week. Since students with high self-efficacy set very challenging goals, teachers should encourage underachievers to set such goals.